This month is National Bike Month and there have been and continue to be several bike-related events and such going on. There are great resources in San Diego for all kinds of biking information, including Bike San Diego and San Diego County Bike Coalition. 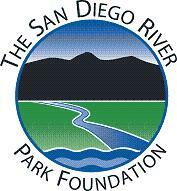 There was also a ride in conjunction with San Diego River Days which continues through next weekend. All people who ride bicycles are invited to join the San Diego County Bicycle Coalition on Wednesday, May 15 at 7 p.m. for a ride to honor cyclists who have been killed or injured and raise awareness that all people have a right to safe accommodation on San Diego's roads. 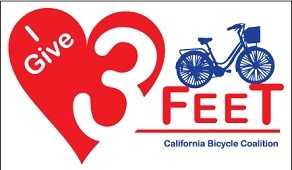 The Ride of Silence is free, starts at the South Clairemont Rec Center and open to cyclists of all ages and abilities. Participants are asked to ride no faster than 12 mph, wear helmets, bring lights, follow the rules of the road and remain silent during the ride. WHEN: Wednesday, May 15, 2013, 7:00 p.m.
Friday is National BIKE TO WORK day. 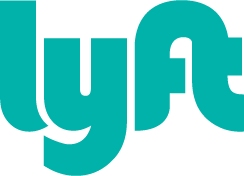 You can REGISTER and get all of the information here, Obviously registration isn't required, but it sends a message to our politicians and community that there are a lot of people who would ride bikes if facilities were safer, more convenient, and incentivized. Finally, Sunday you can get ready for the big CicloSDias (August 11, 2013) with a Mini-CicloSDias at Marston Point Loop on the Southwest side of Balboa Park on Sunday, May 19. These are free and open to all levels of riders from 10am-4pm. Maybe you can hang out for a while, then ride down to Little Italy for Festa Siciliana which happens all day from 10am-6pm. I'll be adding a bike resource page up next to the music resources to this site in a couple weeks, so if you have good resources, feel free to send them my way. Also, if you didn't check out last week's 2013 Summer Guide from SD CityBeat, you can see plenty of bike stuff to do there, too.